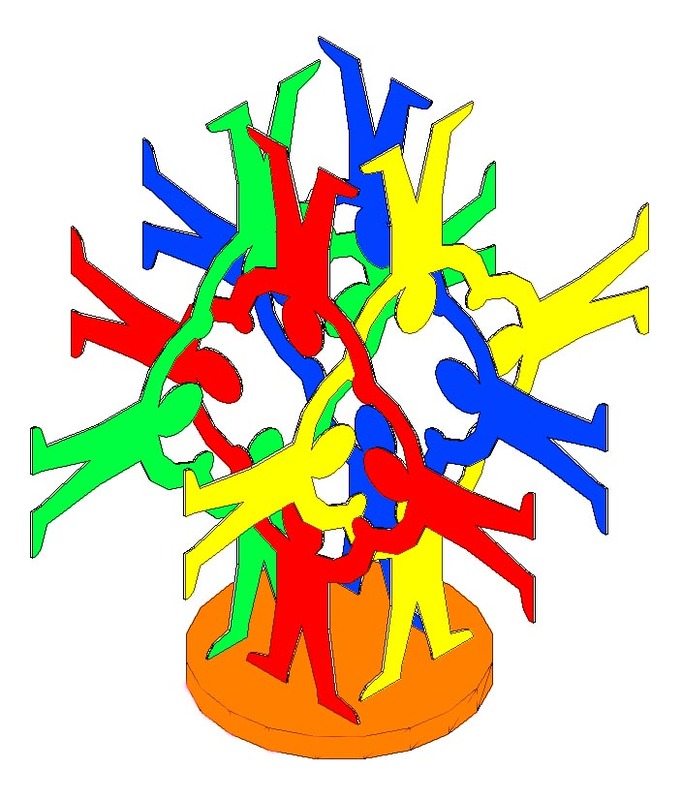 "The painted metal sculpture “Communitas” is made up of four modules (each of a different color) which represent the sum of knowledge, divided into the ARTS, the SCIENCES, the HUMANITIES and the PRACTICAL AFFAIRS as in the law, government, management, commerce, etc. 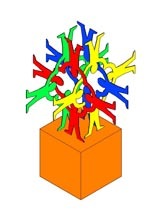 Each “branch” of knowledge symbolizes the effort of many people from each corner of the world to explore, discover, preserve and share knowledge within and across their disciplines. It is the intersection of disciplines that generates a vital whole. The crowning achievement (of a fine education) is a life well lived and a community that serves all of its members."